Dir: Jacques Becker. Wri: Albert Simonin, Jacques Becker. Dir: Yves Robert. Wri: Jean-Paul Rappeneau, Yves Robert, François Chavanne, Robert Lamoureux. 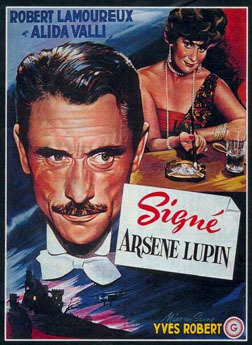 Dir: Édouard Molinaro. Wri: Georges Neveux. Cast: Jean-Pierre Cassel (Lupin), Jean-Claude Brialy (Lupin). Dir: Jean-Paul Salomé. Wri: Jean-Paul Salomé & Laurent Vachaud. Cast: Romain Duris (Lupin), Kirstin Scott Thomas (Josephine Balsamo), Eva Green (Clarisse). 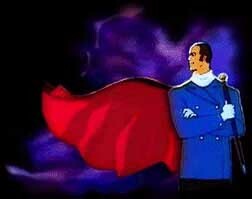 Note: Rather faithful adaptation of La Comtesse de Cagliostro. 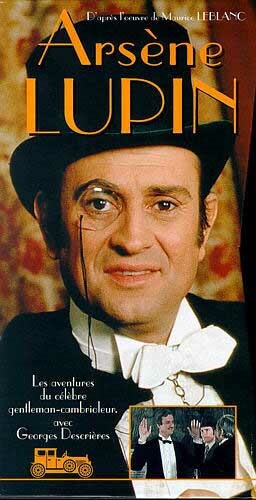 Regular Cast: George Descrières (Lupin). Dir: Alexandre Astruc. Wri: Alexandre Astruc, Roland Laudenbach, based on 813. Dir: Carlos Larronde. Wri: Maurice Leblanc. Voices: "Arsène Lupin", Simone Montalet, Fernand Sablot. Dir: Leon Ruth. Wri: Maurice Leblanc, Francis de Croisset. Prod: Maurice Renault. Dir: Abder Isker. Wri: Jean Marcillac. Dir: François Bresson, Pascal Morrelli. Voices (Canadian Enligh version): Luis de Cespedes (Lupin), Richard M. Dumont (Grognard), Jane Woods (Kelly Kincaid), Danny Brochu, Dean Hagopian. 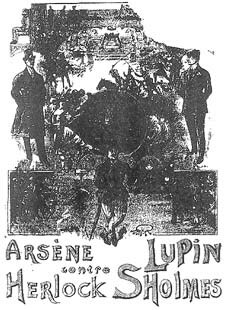 The Japanese anime LUPIN III (about the grand-son of Arsène Lupin) is beyond the scope of this website and is mentioned here only for the record. Here is a link to the LUPIN III ENCYCLOPEDIA website which covers the LUPIN III series, films, etc. in detail. Wri: Georges Cheylard; Art: Bourdin. Note: Daily strip published in France-Soir in 1948-49; rep. in two volumes; Prifo, 1977. Note: 575 daily strips produced by the Opera Mundi Syndicate, published in the newspaper Le Parisien Libéré from 1956-58. Wri: Joëlle Gilles; Art: Joëlle Gilles & B. Cado. Published by the Authors, 1983. 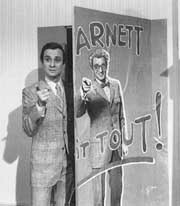 Wri: André-Paul Duchateau; Artist: Géron. Wri: Francis de Croisset and Maurice Leblanc. 4-Acts Play first performed on October 28, 1908, at the Athenee. 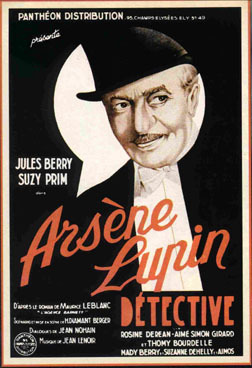 Cast: Andre Brule (Duc de Charmerace/Lupin) (left, above), Escoffier (Inspecteur Guerchard) (right, above), Sonia (Laurence Duluc) (center, above), André Lefaur (Juge Formery). Wri: Victor Darlay and Henri de Gorsse. 4-Acts Play first performed on October 28th, 1910, at the Theâtre du Châtelet. 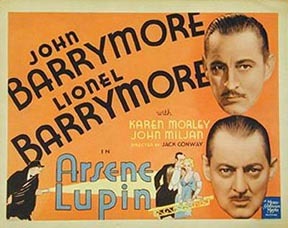 Cast: Julien (Lupin), Houry (Sholmes). Sketch included in the musical review Elle l'a le sourire! 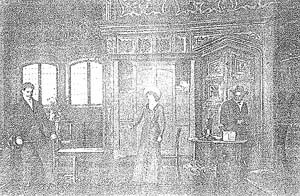 1-Act Play first performed on September 16th, 1911, at the Theâtre de la Cigale. Wri: Yves Mirande and Albert Willemetz; Libretto: Marcel Lattès. 3-Acts Operetta, first performed on May 7th, 1930, at the Theâtre des Bouffes Parisiennes. 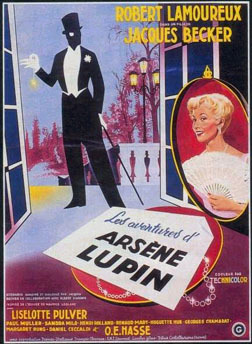 Cast: Koval (Lupin), Jacqueline Francell, Meg Lemonnier, Louis Blanche, Lucien Baroux.